First African-American to own a bookstore in the United States. Established the New York Committee of Vigilance. Ruggles was born in 1810 in Connecticut. His father, David Sr. was a blacksmith and woodcutter while his mother, Nancy, was a caterer. The Ruggles family included eight children. As African-Americans who had acquired wealth, the family lived in the affluent Bean Hill area and were devout Methodists. Ruggles attended Sabbath Schools. In 1827 Ruggles arrived in New York City. At 17 years old, Ruggles was ready to use his education and determination to create change in society. After opening a grocery store, Ruggles became involved in the temperance and antislavery movments selling publications such as The Liberator and The Emancipator. Ruggles traveled throughout the Northeastern to promote the Emancipator and Journal of Public Morals. Ruggles also edited the New York-based journal The Mirror of Liberty. In addition, he published two pamphlets, The Extinguisher and The Abrogation of the Seventh Commandment arguing that women should confront their husbands for having enslaved African-American women as mistresses. 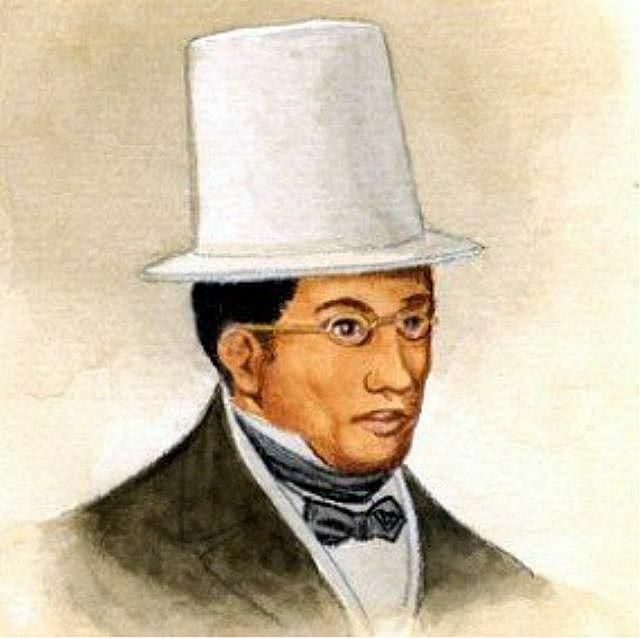 In 1834, Ruggles opened a bookstore and was the first African-American to own a bookstore. Ruggles used his bookstore to promote publications supporting the antislavery movement. He also opposed the American Colonization Society. However in September of 1835, his bookstore was set on fire by white anti-abolitionists. Setting Ruggles’ store on fire did not stop his work as an abolitionist. That same year Ruggles and several other African-American activists established the New York Committee of Vigilance. The purpose of the committee was to provide a safe space for runaway slaves. The Committee provided runaway slaves in New York about their rights. Ruggles and other members did not stop there. They challenged slave catchers and petitioned the municipal government to provide jury trials to enslaved African-Americans who had been captured and offered legal assistance to those with a trial. The organization challenged more than 300 cases of fugitive slaves in one year. In total, Ruggles helped an estimated 600 runaway slaves, the most notable being Frederick Douglass. Ruggles efforts as an abolitionist helped him make enemies. On several occasions, he was assaulted. There are two documented attempts to kidnap Ruggles and send him to a slaveholding state. Ruggles also had enemies within the abolitionist community who did not agree with his tactics to fighting for freedom. After working for nearly 20 years as an abolitionist, Ruggles health was so poor that was almost blind. Abolitionists such as Lydia Maria Child supported Ruggles as he tried to restore his health and he relocated to the Northampton Association of Education and Industry. While there Ruggles was introduced to hydrotherapy and within a year, his health was improving. Convinced that hydrotherapy provided healing to a variety of ailments, Ruggles began treating abolitionists at the center. His success allowed him to purchase property in 1846 and he conducted hydropath treatments. Ruggles worked as a hydrotherapist, acquiring modest wealthy until his left eye became inflamed in 1849. Ruggles died in Massachusetts after a case of inflamed bowels in December of 1849.